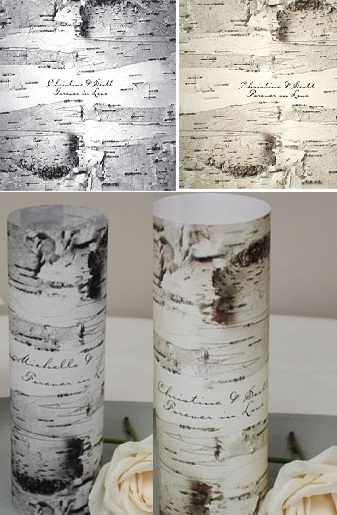 The vellum material that this luminary wrap is printed on allows a hint of light to shine through. Wrap it around a vase and place a light source inside to create a stunning centerpiece. Price is for a set of 12. Personalization fee is included.